PBS television stars (Under the Streetlamp) and former Jersey Boys castmates Michael Ingersoll and Christopher Kale Jones unite for an uplifting evening of inspirational rock anthems including “You’ve Lost That Loving Feeling” by The Righteous Brothers, “Can’t Take My Eyes Off Of You” by Frankie Valli, “Fire and Rain” by James Taylor, and “America the Beautiful” by Ray Charles. Micheal Ingersoll - Chicago Sun-Times declares, “He’s got star written all over him.” Performer/producer Michael Ingersoll is the creator of the Artists Lounge Live concert series. A favorite of PBS audiences, Ingersoll toured the country performing with his retro-rock vocal group Under the Streetlamp, whose television concert specials air in millions of homes nationwide. 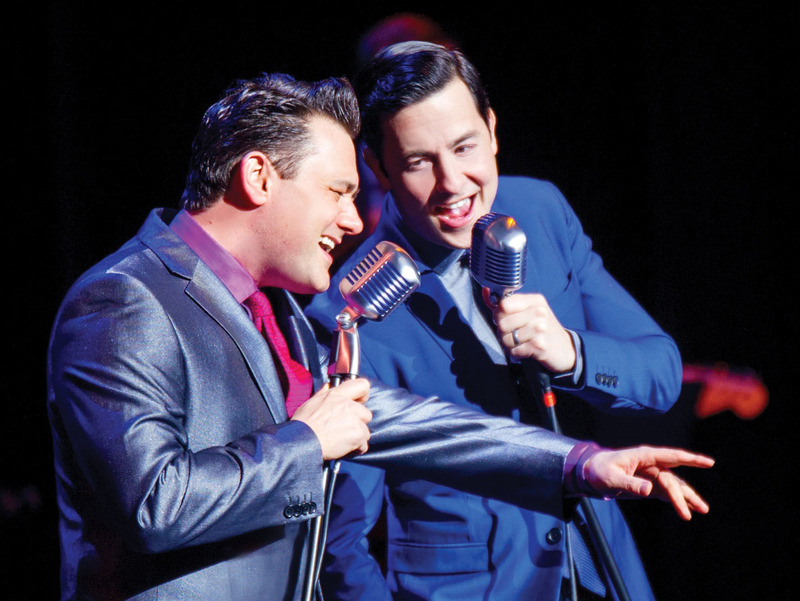 He is also known for starring as Nick Massi of the Four Seasons in Jersey Boys for the original Chicago, San Francisco, and Los Angeles companies.